These sweet holiday cards will warm the heart of every cat-lover you know - and maybe even a few dog people! 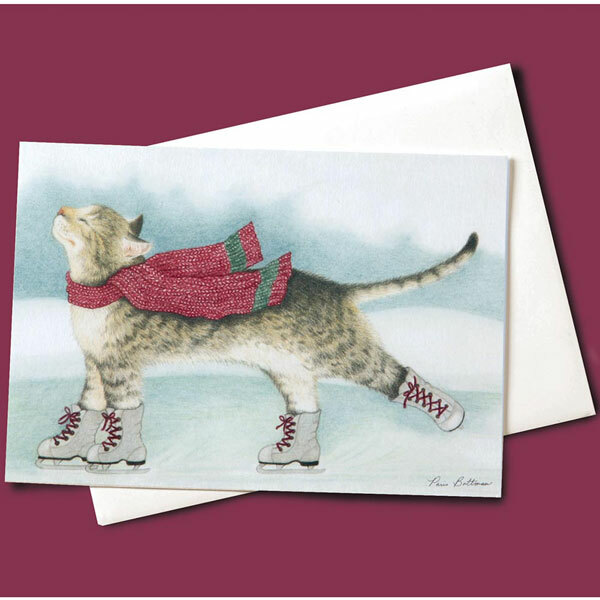 Wrapped in a cozy scarf with tiny ice skates on her paws, a serene feline glides across a frozen pond on our Skating Cat Christmas Cards, which open to read "Have a blissful holiday season." Boxed set of ten 5"x7" cards with envelopes.